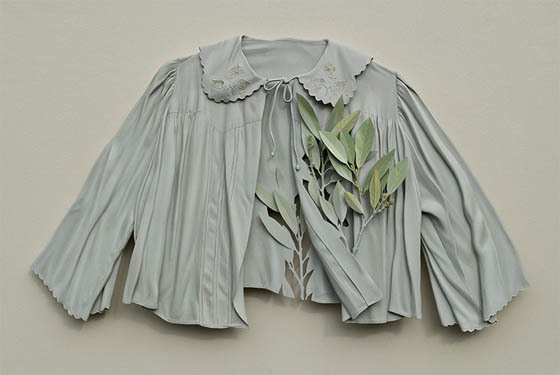 Those elaborately designed garments presented in this post were made from layers of Finnish birch plywood by artist Ron Isaacs in a trompe l’oeil fashion. 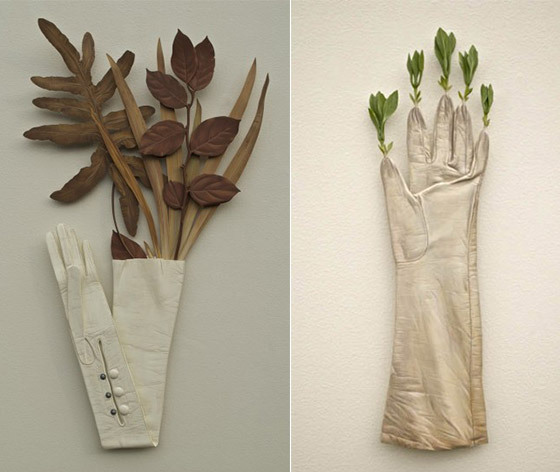 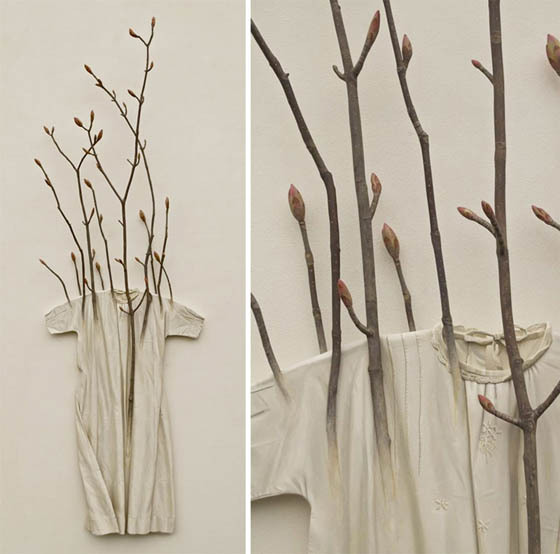 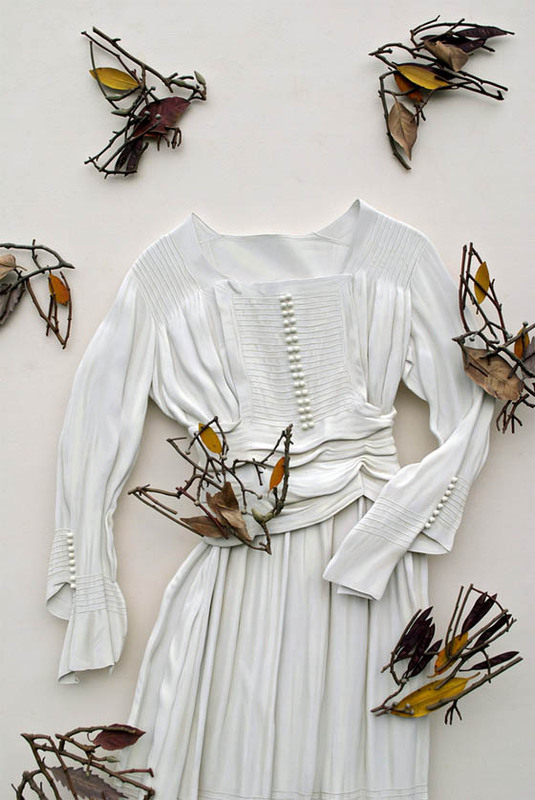 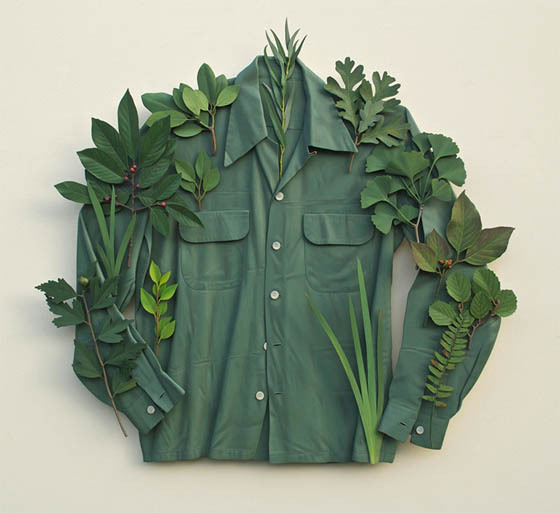 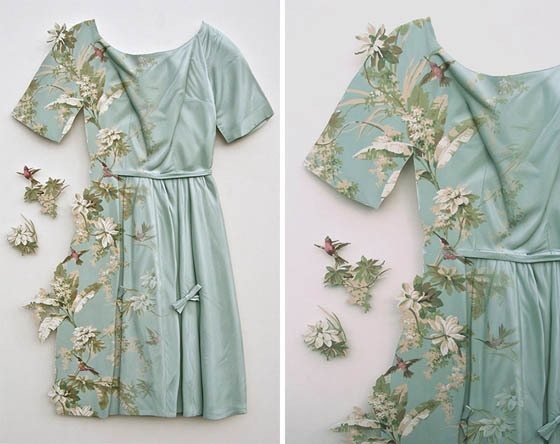 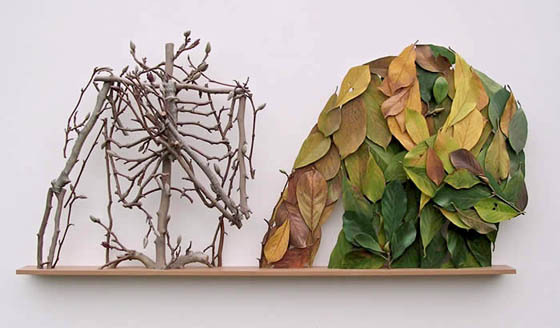 Starting from wood, then cut, layer and paint, Isaacs made these highly detailed “architectural clothing.” Each piece merges three recurring subjects found in most of his works: vintage clothing, plant materials (sticks, leaves, and flowers) and found objects. 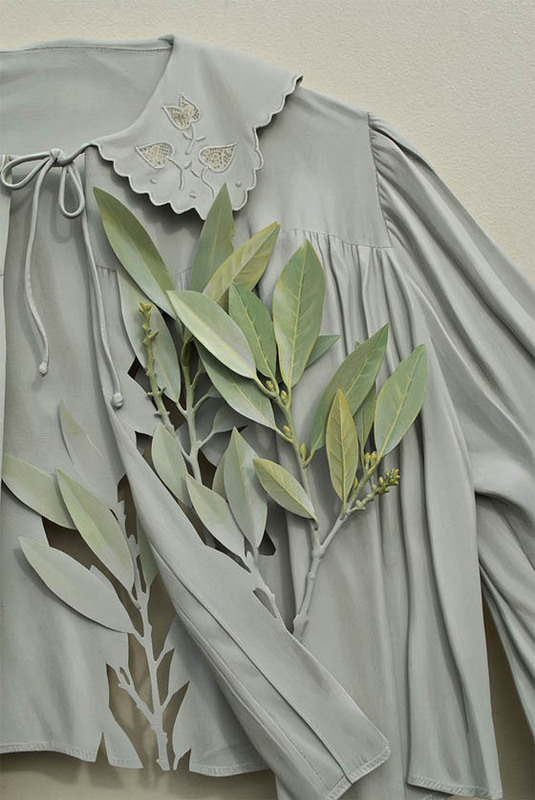 Combining trompe l’oeil painting with master wood carving, the sculptures appear ready to move in a gentle breeze as they morph into natural elements.